Life after a car crash can be traumatizing. And in some cases lead to emotional distress, especially while driving. 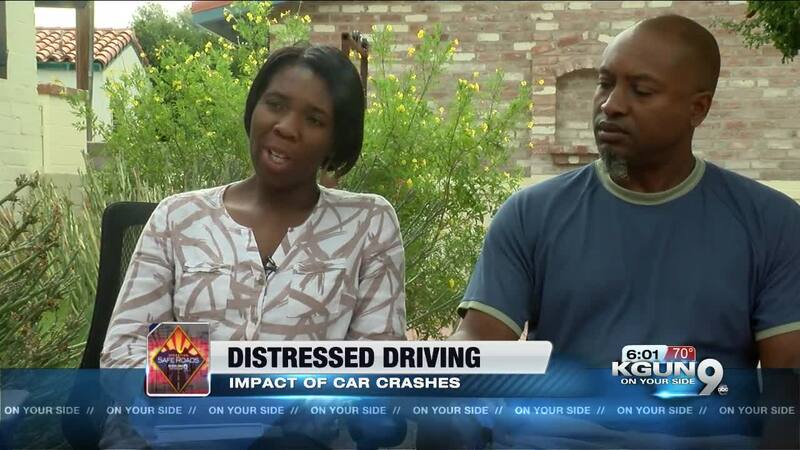 Research shows nearly 10 percent of people who survive car crashes develop PTSD -- Post Traumatic Stress Disorder. Nanette Thorns had been behind the wheel -- headed home from church -- a routine route -- with her daughter,Trelyn,next to her in the passengers seat. Just as Nanette entered an east side intersection a distracted driver slammed into her car. "I was think is that car going to stop. But before that statement was a complete thought in my head we were already rolling," said Nanette. Trelyn died after the car crash -- that was 6 months ago. Nanette is not only suffering from the loss of her child, she still struggles with driving, especially near the crash site. "I clinch up. So if we can avoid it sometimes -- I try to avoid it. I'll try to avoid going that route," said Nanette. Avoidance is common after a car crash, according to mental health experts. So is anxiety, which Nanette experiences at any intersection. "I'm trying to look at every angle to make sure there's no cars coming through really fast. I almost want to slow down in the middle of the intersection because I'm trying to think if I slow down I can capture it before it happens. Maybe I'll capture this and I can stop and I won't have to relive that again." said Nanette. Heath experts and research in the Medical Journal of Psychology reveal for most accident victims, the overwhelming feelings go away over time. But sometimes the fear can be stifling -- triggering emotional distress that interrupts daily life well after the crash. When that happens, experts say. efforts should be made to heal those often hidden wounds. One person is killed on Arizona roads every nine hours. Deadly crashes are up 36 percent in two years and 13 to 20 percent of traffic fatalities are pedestrians. KGUN 9 is committed to making our roads a safer place to travel on foot, on bikes, and in our vehicles. We welcome your input. Send your issues and concerns about the safety of our roadways to saferoads@kgun9.com or call 520-290-7690.